The classic in the field since 1848, this reference offers readers unsurpassed coverage of mineralogy & crystallography. 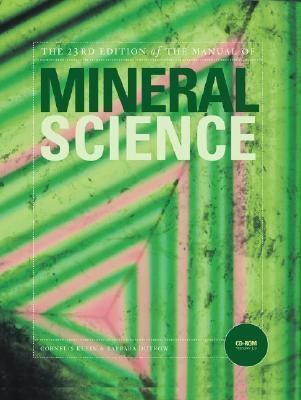 The book is known for integrating complete coverage of concepts & principles with a more systematic & descriptive treatment of mineralogy.Cornelis Klein is the author of 'Manual of Mineral Science (Manual of Mineralogy)', published 2007 under ISBN 9780471721574 and ISBN 0471721573. Loading marketplace prices 79 copies from $18.36 How does the rental process work?